This is the debut album from German death metallers Pestilent Reign. As sample…but then we get quickly introduced to the band’s brand of technical brutality. Actually, Pestilent Reign sound different than I imagined; the elements of the aforementioned qualities that drew me to this album spoke of a more modern, brutal proposition. While Pyres certainly does have aspects of this, it’s more a of a Dying Fetus-influenced affair, offering groove, blast, and technicality in varying amounts. Melody is used well here too, and somehow this area of the delivery feels like you are really starting to feel the band’s own personality shine through. 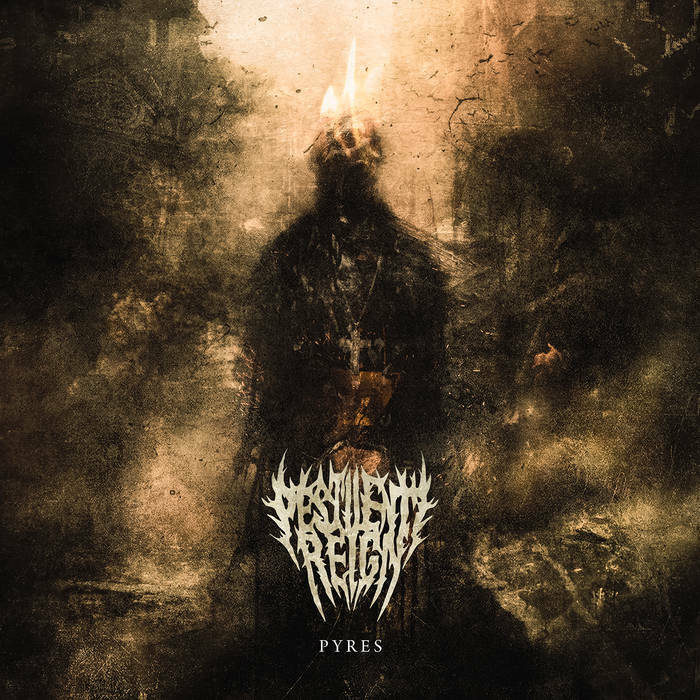 Looking into the promo blurb it lists bands such as Dying Fetus, Dyscarnate, and Psycroptic as prime influences, and that’s as good a place to start as any with Pestilent Reign. Pyres is an enjoyable foray into bouncy, blasting, technical aggression. Check it out. This entry was posted in Death Metal and tagged brutal death metal, Death Metal, Dying Fetus, Dyscarnate, Metal, Pestilent Reign, Psycroptic, Technical death metal. Bookmark the permalink.